That is all that was said in an email I received from 20th Century Fox Malaysia. It could be banned by the idiots from the local board of film censorship or Fox just decided after final quarter budget review that it’s not viable to market such a film that has no action, explosions, typical teen romance nonsense or humour in Malaysia. An all talk thriller is a big no-no to majority of local audience unless it’s nominated for some famous award. 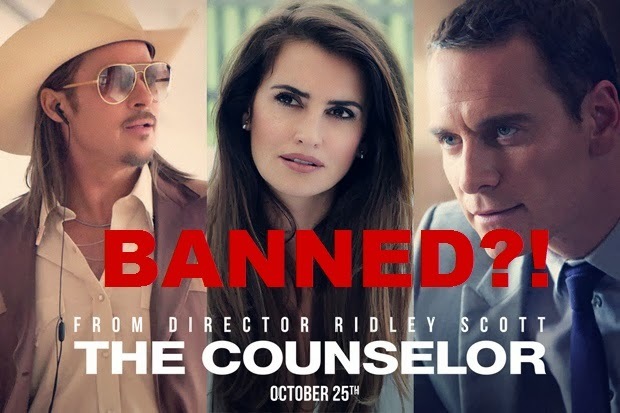 Anyhow, as of now, I have no intention of finding out why exactly The Counselor will not be shown here. Judging from the trailer, it doesn’t look good anyway. 20th Century Fox and Reel FX Animation Studios have revealed their cast for the upcoming animated comedy entitled The Book of Life, which enters the journey of Manolo embarks on an adventure that spans three fantastical worlds where he must face his greatest fears. Also joining the cast are Cheech Marin, Hector Elizondo and legendary tenor Placido Domingo, plus Ana de la Reguera (Nacho Libre, Eastbound and Down), Eugenio Derbez (Instructions Not Included), comedian Gabriel Iglesias (Stand-up Revolution), radio personality Ricardo (El Mandril) Sanchez, and Danny Trejo (Machete). The Book of Life is expected to be released in Malaysia on October 9th 2014. Again, if you’re wondering why all my movie updates are mostly from 20th Century Fox, Warner Bros. Pictures and GSC Movies, it’s because the other distributors have yet to accept this blog as a “media” or “press”. The movies that I choose to review this week are Odd Thomas and Tony Jaa’s Tom Yum Goong 2. Stay tuned to my Facebook, Instagram or Twitter for updates.